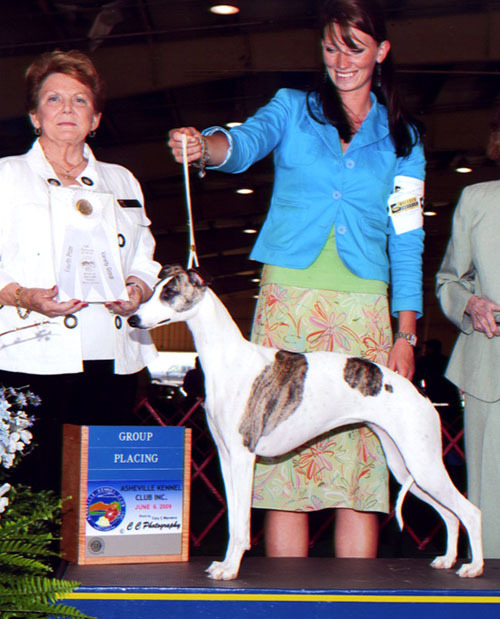 Sept 2009: Sonora is now American Champion!! 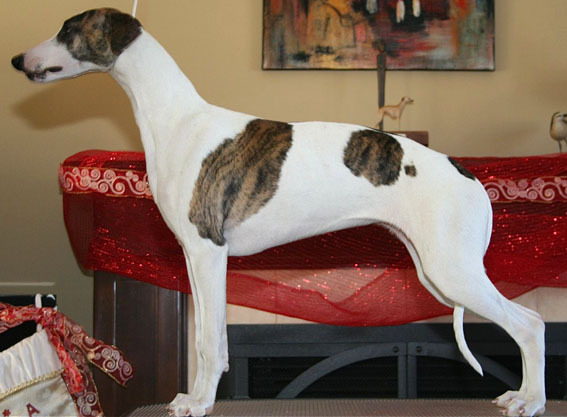 She finished with 3 BOB over top multi BIS whippets!!! Sonora will now be shown sparingly in specialty shows. 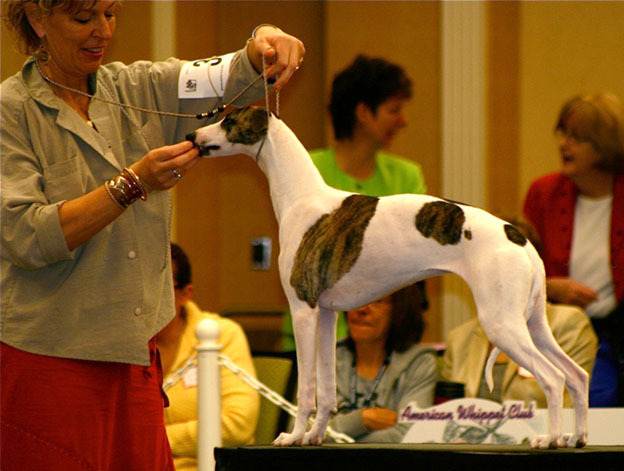 June 2009: "Sonora" was shown for the first time today in the US with Grahm Swayze and from the 9-12 months old class won WB, BOW and BOB for 4 points major over 7 specials which some are top whippets in the country and went all the way up to Hound group 4th!!! Apparently it was tough competition!!!! May 23 2009: Sonora is now Can.Ch. Forgetmenot Katsumi at Joska!! 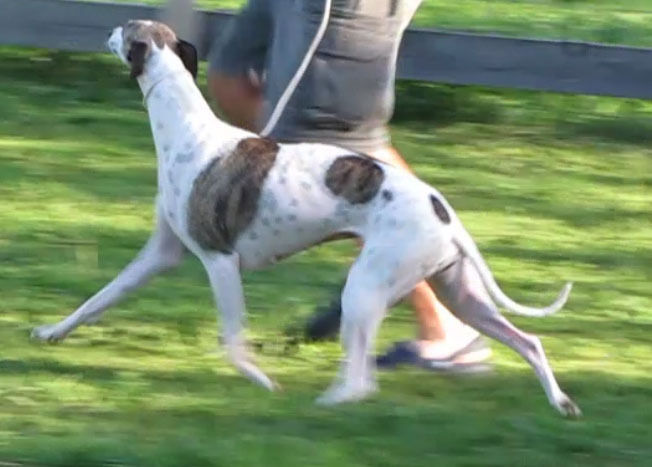 She finished in grand style with multiple Best Puppy in Groups, expertly shown by co-owner Sylvain Deschamps. 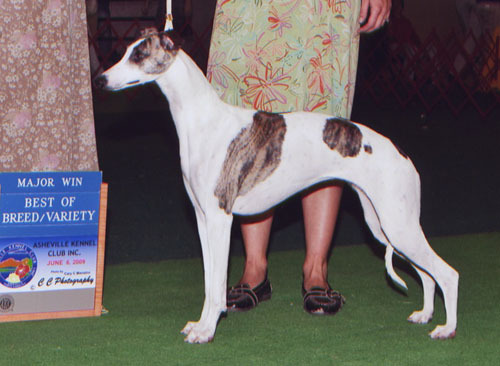 Sonora will be sent in June 2009 with handler Grahm Swayze (Longlesson Kennels) in the USA to be shown to her American championship this summer. Our intuitions tells us she will finish very quickly!!! Stay tuned! 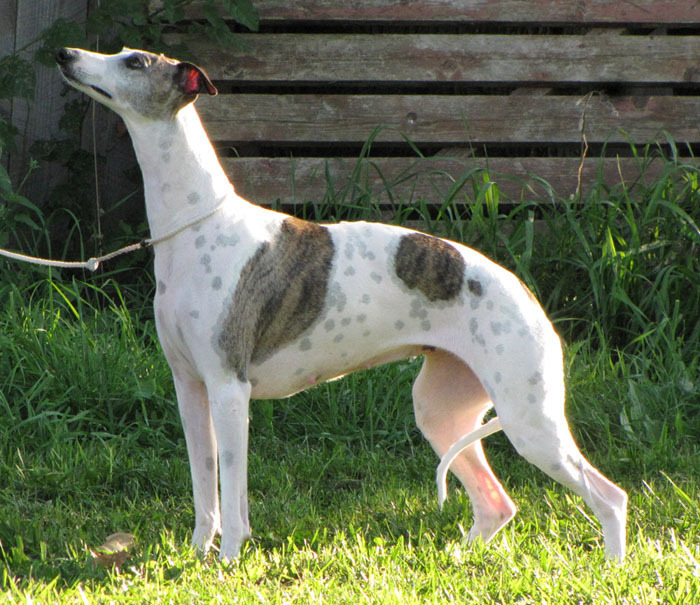 Below: Sonora pictured here at the American Whippet Club National Specialty in Atlanta Georgia shown in the 6-9 months old class. Thank you to Jodi Allward for doing an amazing job handling Sonora. All pictures found on this site are copyright © by respective photographers. Do not use without consent.